Medical healthcare industry is known to be a slow adaptor of new technology application due to its fragmented and highly complex system. But in today’s era of the smart and connected world, medical healthcare world is all set to get transformed for delivering connected care solutions. As per the research healthcare in IoT will be spending approximately $1 trillion per year by 2025. There will be 25 to 50 billion connected devices by 2025, and healthcare will have a huge share in it. Thanks to Internet of Things (IoT) by monitoring health 24 hours a day, seven days a week, new technology should dramatically improve patient outcomes and convenience and shrink costs. The main challenge for the designer is addressing the conflicting requirement of power and performance. Optimized power management and low power solution become a necessary consideration for medical wearable designs. This article highlights common ways medical wearables draws power, power-optimized design, and its implementation techniques. To help designers cope with the engineering challenges associated with medical wearables, manufacturers are offering System-on-Chip (SoC) solutions with a combination of power efficient microcontroller and application processor for complex data analysis/algorithm. One can also select both of them separately and interface them through communication bus (I2C/UART/SPI etc.) Peripherals required for continuous monitoring of patient’s health (i.e. Sensors attached to patient’s body) and wearable’s health (i.e. Fuel Gauge for Battery Monitoring) should be connected to the low power controller. Disable non-critical functionalities in the case of low power mode operation of the device. i.e. firmware upgrade, device self-test, calibration etc. Although in the coming era of mobile health and IoT in healthcare, there will be pivotal components including highly sensitive biosensors, low-power integrated electronic circuits, low-power and reliable wireless communication, and obviously a sufficient power source. As the recent advances in nanotechnology and materials have enabled the realization of smaller and more sensitive sensors consuming less energy as well as low-power and smaller sized electronics, the increasing dependence on communication and interaction with other devices and a mobile cloud requires much higher power to operate the new-generation devices. While designing medical product, reliability, accuracy, and safety are important areas to keep in mind. But when we transform such medical product into the wearable segment, its battery life also becomes a very important factor to be taken into consideration. A similar solution has been created in a recent case study of VOLANSYS, where the customer has developed an algorithm to detect asthma and VOLANSYS has developed an end-to-end solution (including hardware, firmware, mobile application, cloud database and web application) and integrated customer’s asthma detection algorithm in it. 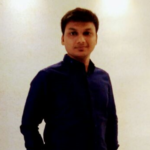 Ashish Agraval is an embedded professional at VOLANSYS with experience in architecting, designing & delivering the solutions for embedded products. Ashish has good exposure in latest technologies like connected healthcare wearable, Internet of Things etc.